My lil monsters loooove Melbourne...well, there were some occasions when they wanted to go home because they miss their beds :) but apart from that, they love it here. What I love about the city is the tremendous amount of parks everywhere. It's free and entertaining :). 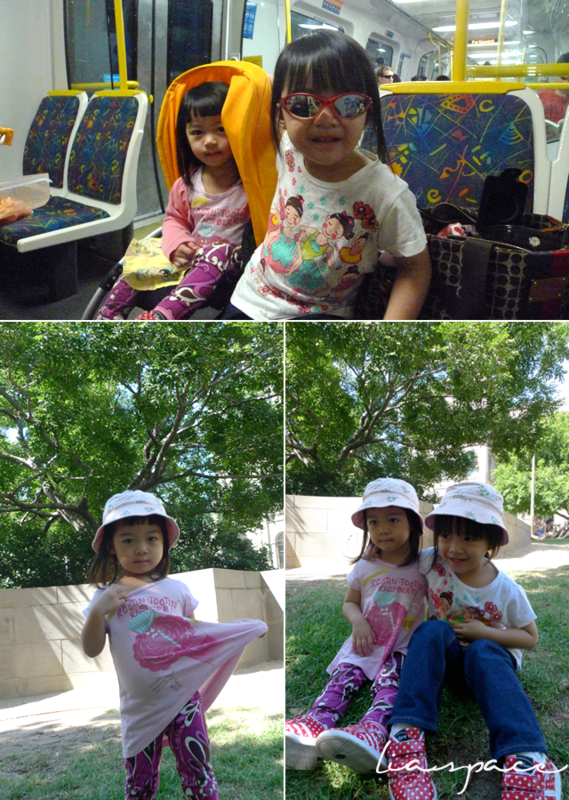 We also went to Melbourne Aquarium and they had a blast there. We took the train and trams last Sunday and they loved it...now, the lil one keeps asking to ride the tram every time we pass one :(. We're planning on going to a zoo on Monday, should be fun for them :).